TwinLuxe founders, identical twin brothers Anthony and Hubert Tsai, had a vision of merging progressive innovation with precision craftsmanship to change the entire men’s skin care and shaving experience. TwinLuxe is the world’s most exclusive shaving product company, and it markets not only tailor-made, hand-crafted skincare products, but also fine shaving instruments designed by world renowned designer Marek Djordjevic, whose works include exterior designs of the Rolls-Royce Phantom family of cars. The instruments from TwinLuxe feature space age materials typically found in high performance cars and ultra-fine wristwatches. We picked up a few products from TwinLuxe’s skincare line – Specifically the Smooth Shave Cream ($34), Instant Energy Mist ($26), and Daily Detox Face Wash & Mask ($38). I’ve been using all three products for the past week or so, and I’ve noticed a huge difference. The luxuriously rich shave cream provides a soothing protective barrier for an ultra-close, irritation-free shave and nourished soft skin. The instant energy mist provides moisture and cooling botanicals for instantly refreshed, balanced skin. And the 2-in-1 daily deep pore cleansing treatment can be used as a bacteria-fighting facial wash, or as a detoxifying, pore cleansing mask to balance skin before shaving. With the proper technique, shave instruments, and skin care, the monotonous task of shaving can be transformed into a soothing, pampering ritual. 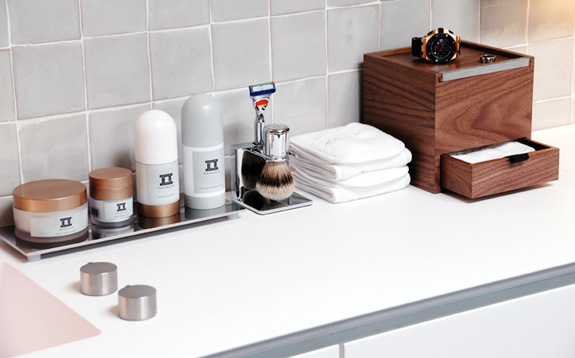 Bring the professional barbershop experience into your own home; and at the same time, maintain your skin’s vibrancy. Embrace your metrosexual side, and see what you’ve been missing out on! I’ll start with the Twinluxe shaving cream and if I like it, I’ll step up and get some other products like their face washes.